Rossi Rifleman • View topic - If you could choose a caliber? If you could choose a New caliber 92 what would it be? Re: If you could choose a caliber? towgunner11h wrote: Don’t know if this is even possible, but .500 S&W. Nope, nobody ever thought of that one. And those who did decided it couldn't be done. It would be great to have a compact lever chambered in .458 SOCOM. I think that would be an awesome quick handling piece of business in something like a '92. At a COL of 2.26" it would be a little shorter than a .460 S&W, but longer than a .454 Casull. Don't know if a '92 frame could accommodate such, but it could be a faster handling piece than lever in .45-70. Plus .458 rings "thumper" more loudly than .452. See my previous post regarding the .460 S&W. They aren't calling them 92s but renamed them 89's as a cross between the 1886 and the 1892 apparently. I'm not sure why since Rossi managed the 92 in a 454 Casull. Maybe simply so they could trademark it. I almost got a barrel and BCG about a month ago to try the 458 out. I suspect it would have fewer teething problems than the Beowulf but I also think my Beowulf is breaking in and will wind up where I want it to be pretty soon. New to this forum, so I admit trying to cheat on the vote. I cast my vote for the 480 Ruger. But through weakness and desire for the 480, I tried to cast a second vote, but...................... 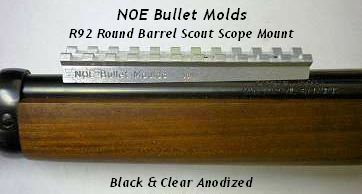 I just figured some of you where remiss in your vote for a lesser caliber, and neglected to vote for the 480. Just thought I'd try to help out the shy members that may have wanted to vote 480 and just felt their vote wouldn't be counted. Sounds like something that might happen in Chicago. I tried. So 480 Ruger would be my choice. Got the 44 mag and a 357 mag, just need a bigger bullet. 410 WFN would do. Knighthawk wrote: New to this forum, so I admit trying to cheat on the vote. I cast my vote for the 480 Ruger. But through weakness and desire for the 480, I tried to cast a second vote, but...................... I just figured some of you where remiss in your vote for a lesser caliber, and neglected to vote for the 480. Just thought I'd try to help out the shy members that may have wanted to vote 480 and just felt their vote wouldn't be counted. Sounds like something that might happen in Chicago. I tried. Welcome to the party pal.. The .480 comes up for sale once in a blue moon on GB. I'd like to see a .357 Maximum, however, before I'd jump in, I'd like to see some real world chrono data on the difference between it and a stout .357 Mag load. My 24" Rossi rifle produces 2,005fps averages for my full charge (18.0grn) Lil'Gun loads in Starline brass, lit by SR primers, under 158grn Zero JSP bullets while my 20" Rossi carbine produces 1,952fps with the same loads. The .357 Max would have to produce significantly higher velocities for me to consider a new platform. Looking at MGM's chrono data HERE for 158grn loads of both (23grns vs 28grns of Lil'Gun), the velocity increase in their 16.5" barrels isn't that significant (2,046fps for the .357 Mag vs 2,167 for the .357 Max).